Alright so I’m gonna get really honest with y’all today. I am overweight, not like seriously super overweight but enough that I am concerned about my future health. I know you’re probably thinking ‘how can a healthy living blogger be overweight, she must not be very healthy’. While I do eat healthy and try and portion control it doesn’t make up for the fact that being a work at home mom I have very little activity during the day. I put on weight during my pregnancy and never lost it after the twins were born. My life has revolved around them, this blog, and doula training. I have tried multiple times to implement some kind of workout time for myself…Buuuut let’s face it with toddler twins running around getting into everything the only time I have to exercise is when they nap or when they go to bed. During their nap time though is when I write my blog or work on my doula business. When they go to bed it is all I can do to drag myself up the stairs and pass out in my own bed. One day I only made it halfway and just took a little nap on the landing before dragging myself the rest of the way to my room (Okay, not really, but some days I sure do want to). 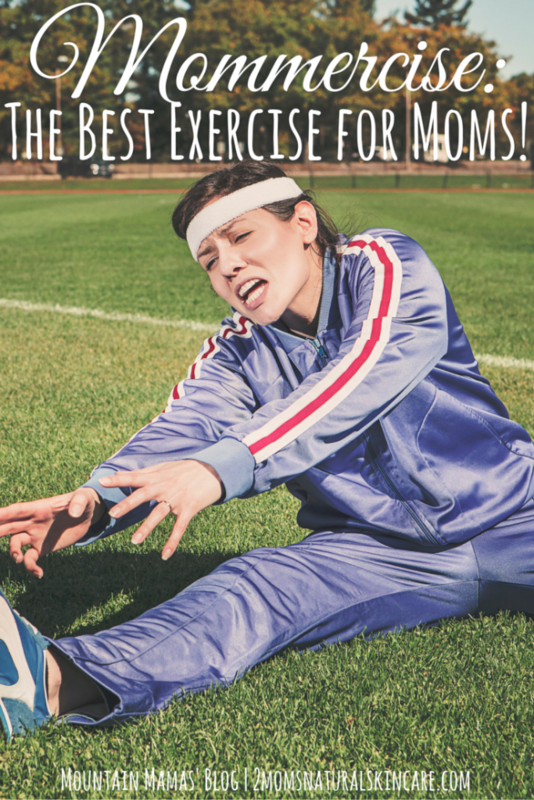 So over the last few weeks I have been looking for ways to easily implement exercise into my everyday routine and turn it into what I like to call MOMMERCISE: The Best Exercise for Moms!! This routine is designed for moms with younger kids. If you do not have young kids I have included some modifications so you can still do this. **Warning** I may or may not have watched too many exercise infomercials while writing this blog post and it may have come off just a teensy bit in my writing. It is 6 AM and you have just heard the wondrous alarm clock of little people screams! It is time to start your day and your workout. Go to your kiddo and pick them up and raise them high in the air (not too fast you will not work the muscles well) and then lower them back down to waist level. Repeat this 9 times and increase 5 times per week until you are doing 30 baby lifts. Congrats you just did a great upper body workout! Modifications: Does your kid hate the lifts or is to big? If you have a small dog or cat you can substitute with them. Or get a weight. Still do this exercise in your child’s room for a few reasons. They will think it is absolutely hysterical. They might join you and encouraging exercise is awesome! So you are not breaking from your normal routine because this is all about exercising without really exercising. You’ve been doing the 30 baby lifts for awhile and feel great about them. To take this exercise even further do a squat while you lift. I also perform this workout when getting the twins up from their nap. If you’re like me there are toys everywhere even places where your kids never go. Use this to your advantage it can help you smooth those thighs and lift your heiny right on up for a nice tight sculpted look. Every time you need to pick a toy or something else up off the floor squat or lunge to get it. I alternate between squats and lunges each day in order to work most of the muscles. Modifications: Don’t have kids making a mess everywhere? Congratulations, throw a party…kidding. Now this may hurt your heart just a little bit, take a pack of markers, crayons, colored pencils, whatever ( I know you have them, every parent will forever have these in their house even after the kids move out) and throw it all over the floor, make a nice big ole’ mess in your house. Now pick it up doing squats and lunges! Repeat this a few times a day until you feel like you have sufficiently worked your legs out. Do not be like Kayla. I did like 300 squats the first day I started this and couldn’t move for a week after. Haha! Start out easy with this exercise, you probably won’t be able to do a squat or lunge for every single item you need to pick up at first but you will get there fast! Are you ready for a beach body? Do you want to tone your tummy? Do you want to workout doing an everyday household task? If you answered YES to any of these questions then this is the exercise for you! This also works with mopping. If you do not have any area to sweep/mop, vacuuming is a great workout as well, it burns around 90 calories in 15 minutes but is not as good of a core workout. That’s it these are my 3 simple workouts that I do every day without taking up any extra time. In the last 3 weeks since implementing these workouts I have lost 9 pounds! I am now 1 pound away from being under 200 again. Track your calories, I personally aim for anywhere between 1500-2000 calories a day depending on if it is a light day or if I go work at the barn or go hiking. There are many different apps to track your calorie intake. The one I have that came already on my phone is S Health and it is for google/android phones. Here are some other options. I have a Fitbit which was gifted to me that I absolutely love but I know there are some of us that can’t afford that. Many of the apps listed above also track steps. You can also purchase an old school pedometer (like this one) for around $12. I aim to walk around 10,000 steps a day I may not reach the goal every day but getting close sure has been helping me! 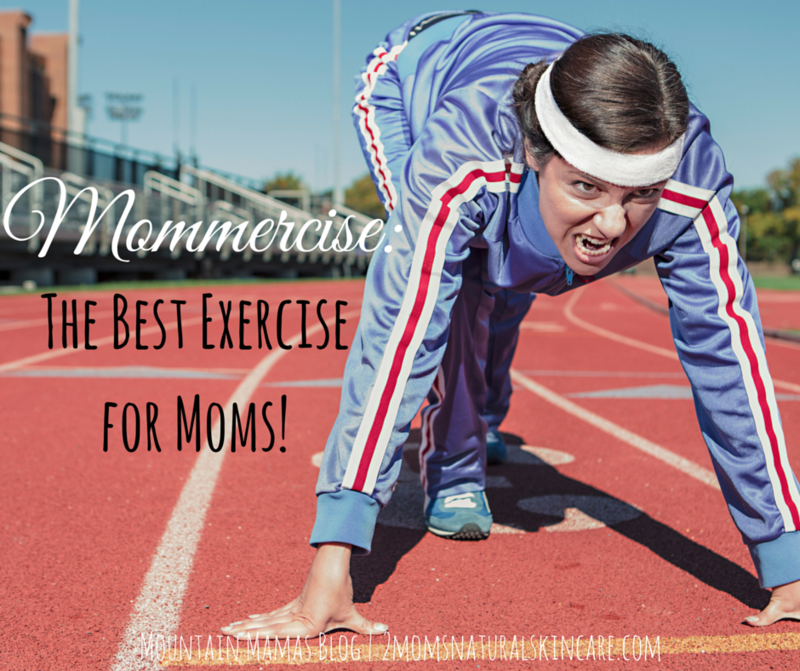 If you include Mommercise: The Best Exercise for Moms in your daily routine I would love to hear how it works for you! Medical Disclaimer: Please consult with you doctor for beginning a new work out routine or making any changes to your existing one. This entry was posted in Diet, Health, Kids.